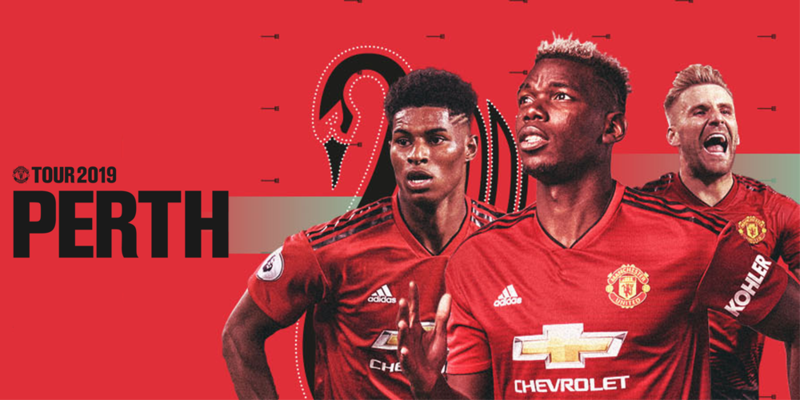 As part of its official pre-season tour, Manchester United's full first team squad will travel to Perth, Western Australia for an action-packed week of events, including 2 matches at the new world-class Optus Stadium against local legends Perth Glory on Saturday 13 July and long-time rivals Leeds United on Wednesday 17 July 2019. This will be only the fifth visit the club has made to Australia, the first being in 1967 when Matt Busby's team toured Australia, playing eight friendly matches. The last time United visited Perth was in 1975. The match against Leeds United will be the first time the old rivals have met since 2011. Our pre-season tour is an integral part of the squad’s preparation for the forthcoming season and after what will be a forty-four year absence since we last played in Perth, we are delighted to be returning to Western Australia to play not just one, but two games against Perth Glory and Leeds United.